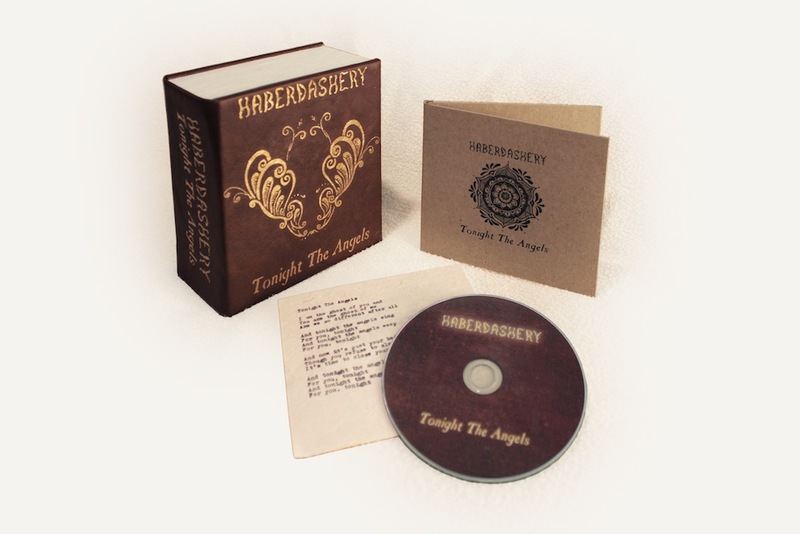 All ten singles from "Tonight The Angels" were made available for a limited time on CD in a custom handmade wooden box set. The box is wrapped in leather-look vinyl and stenciled in gold to evoke the antique book theme of the 2011 Haberdashery releases. 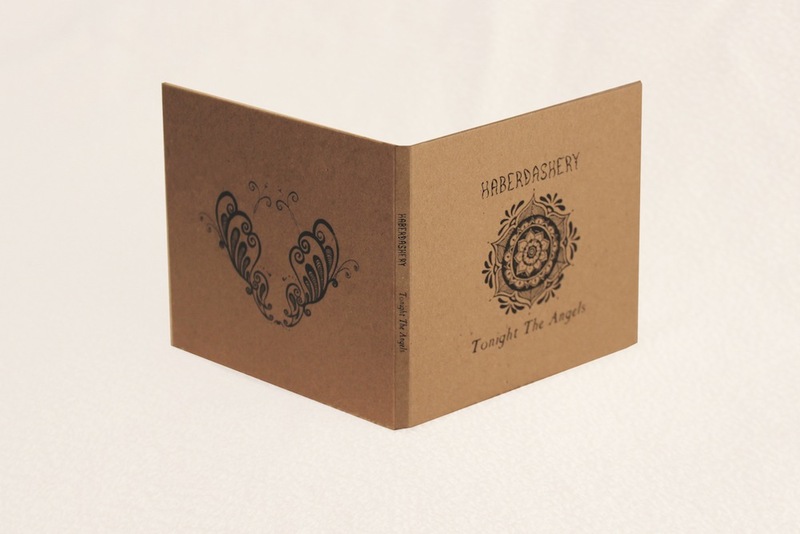 Each CD is presented in a hand silk screened wallet made of recycled materials, and includes an insert with the lyrics and track listings. 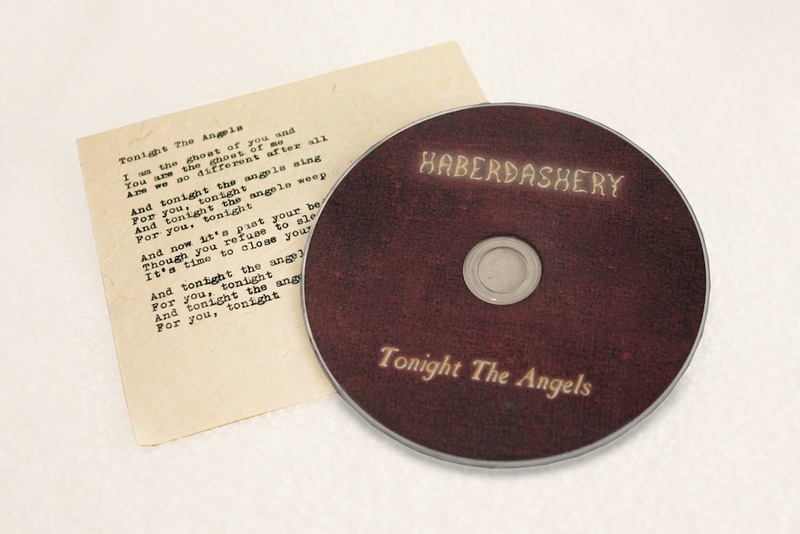 This limited edition set includes all 96 tracks from the "Tonight The Angels" releases. Each of the 20 boxes are hand numbered and will not be reissued. The box set comes in a custom Haberdashery tote bag made of unbleached cotton, and includes other collectibles such as a 2012 calendar, a set of postcards and a set of magnets. Handmade wooden box created by Matt D'Anca. Henna designs by La Pham Nikita. Remixed by Bionica, Conversation, Cosmicity, Destination, Diskodiktator, !distain, Eloquent, Empire State Human, Hyperbubble, kikai, Lost Robot, Madsen, markymix, Aaron Eitan Meyer, Michael Crain, mOOger, Optic, People Theatre, Royal Visionaries, Spacebuoy, Studio Nicky, and Vista. Typing by Mark Towns.